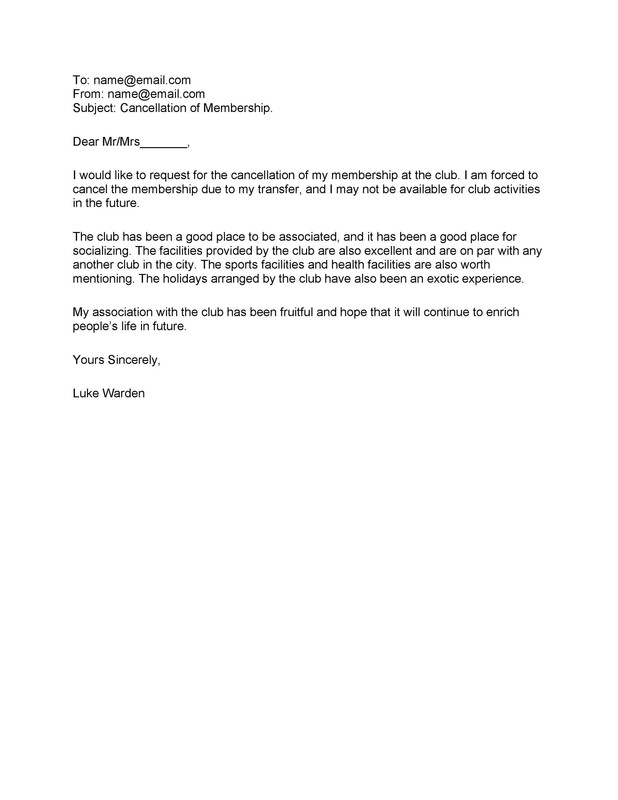 A cancellation letter is a written document created to express an intention of canceling an event, agreement, subscription or contract. One party would write this document, then issue it to the party he made the commitment with. 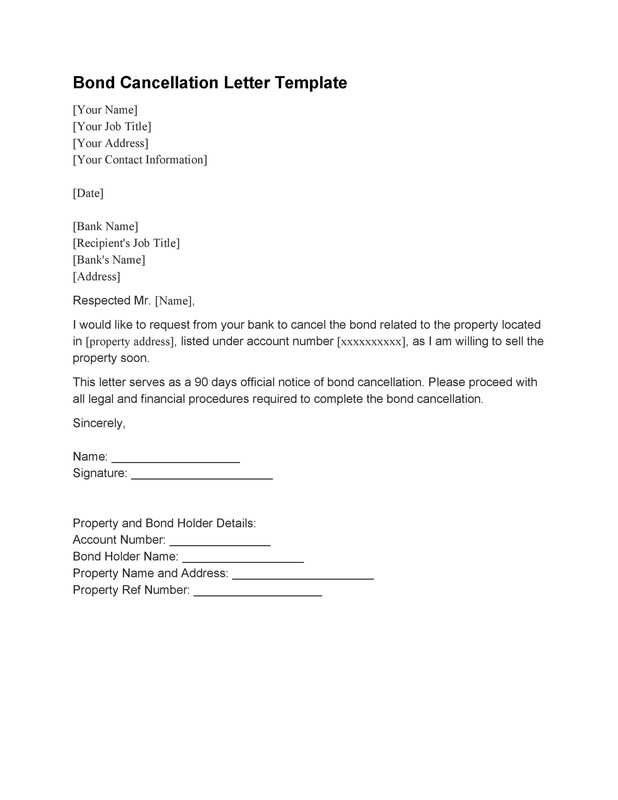 There are different types of cancellation documents you can compose such as an insurance cancellation letter, gym cancellation letter, service cancellation letter, and more. 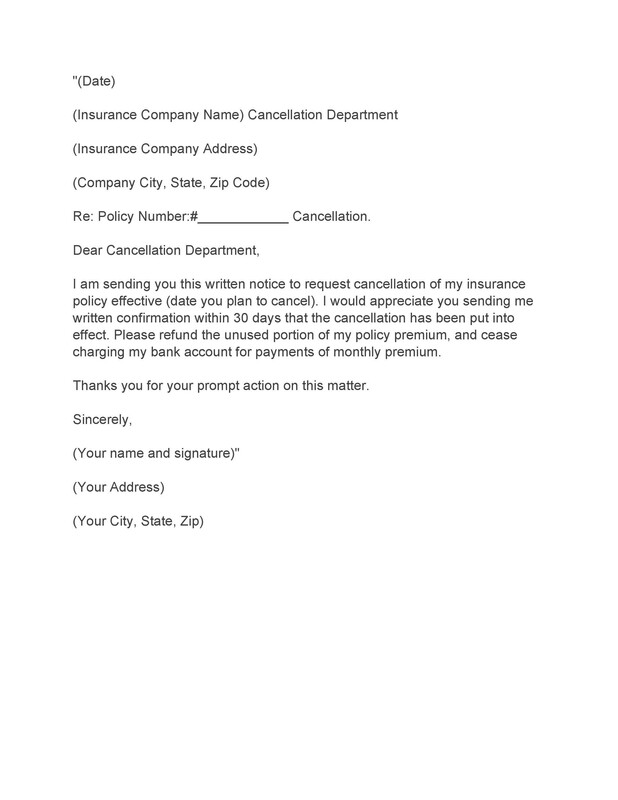 2 When should you write a cancellation letter? 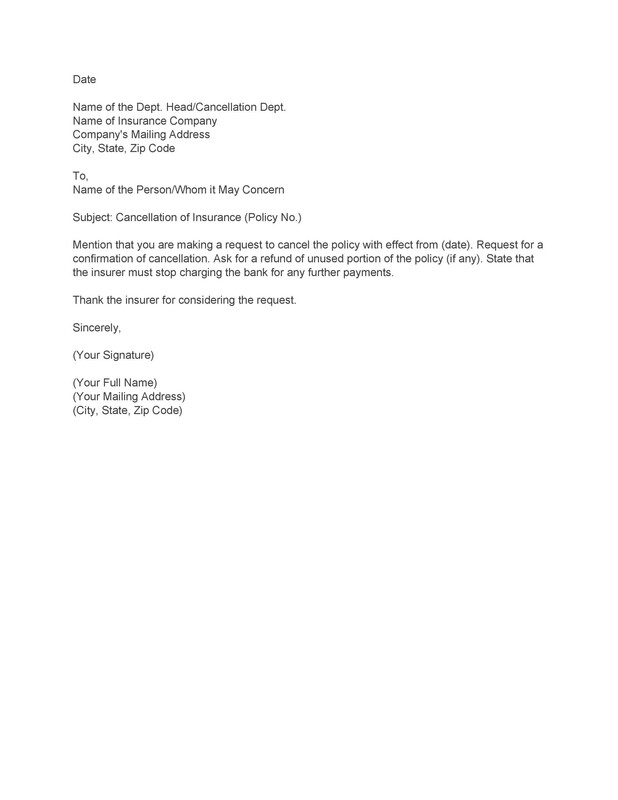 4 How to go about writing a cancellation letter for different reasons? 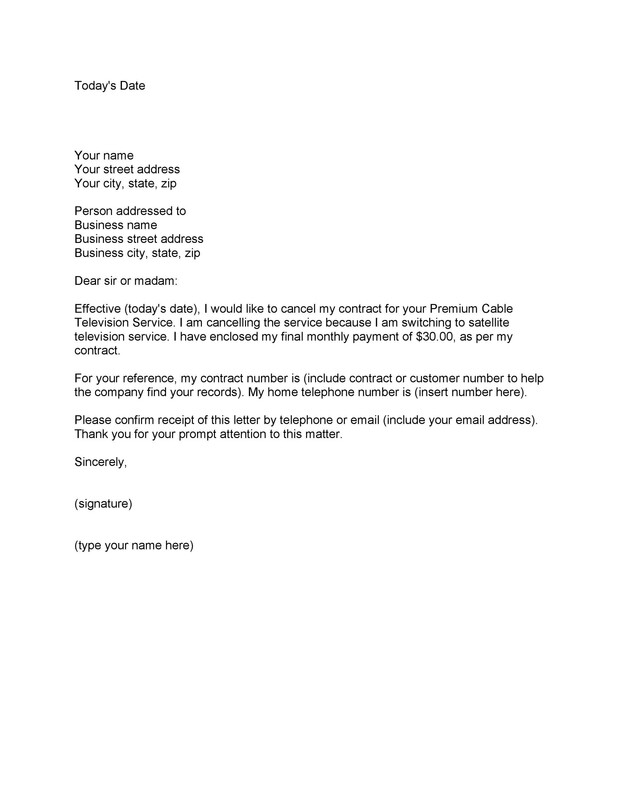 The times you should write a cancellation letter is when you want to terminate, discontinue or cancel a service, contract, agreement, subscription or event. For instance, you may write a service cancellation letter to your internet provider because you’re unhappy with their service. 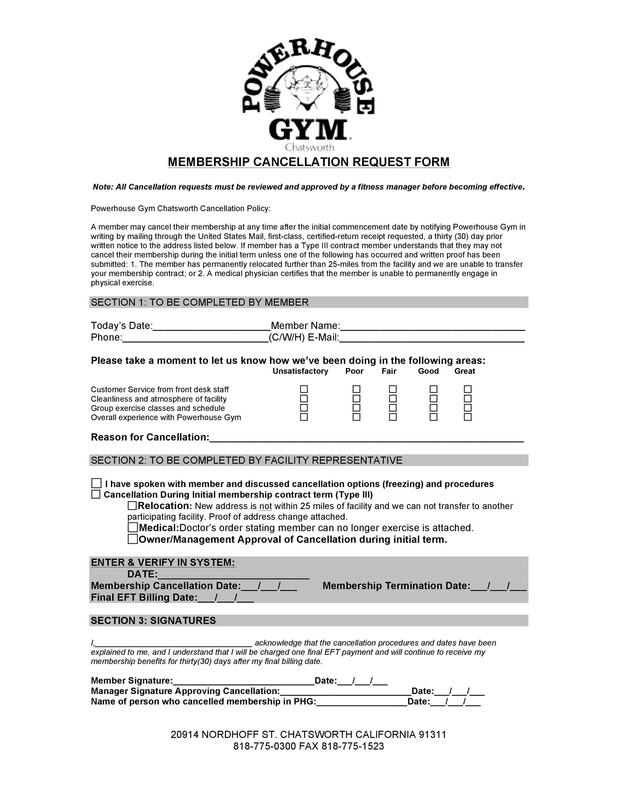 You may also write a gym cancellation letter if you plan to relocate or you just don’t want to go to the gym anymore. 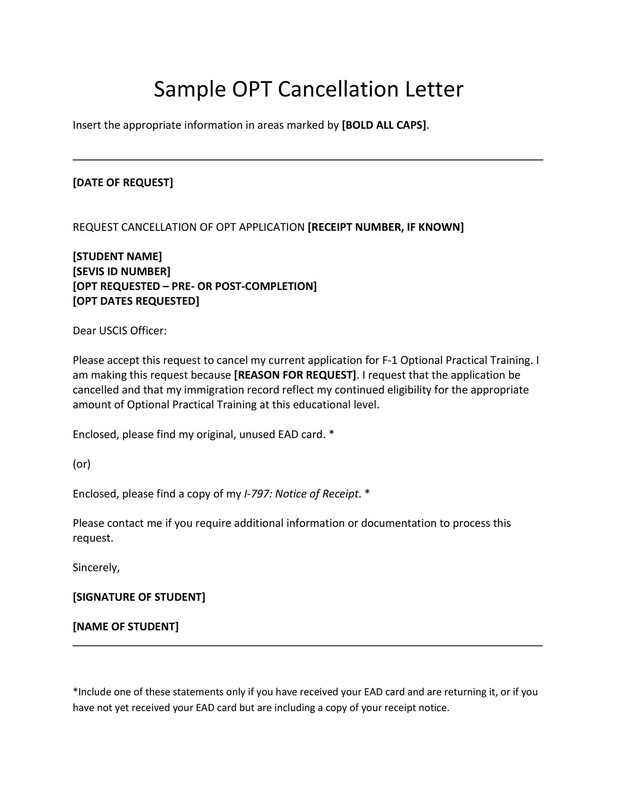 If you want a cancellation to push through, then you need to write the letter and sent it to make your intent known and to make the cancellation official. 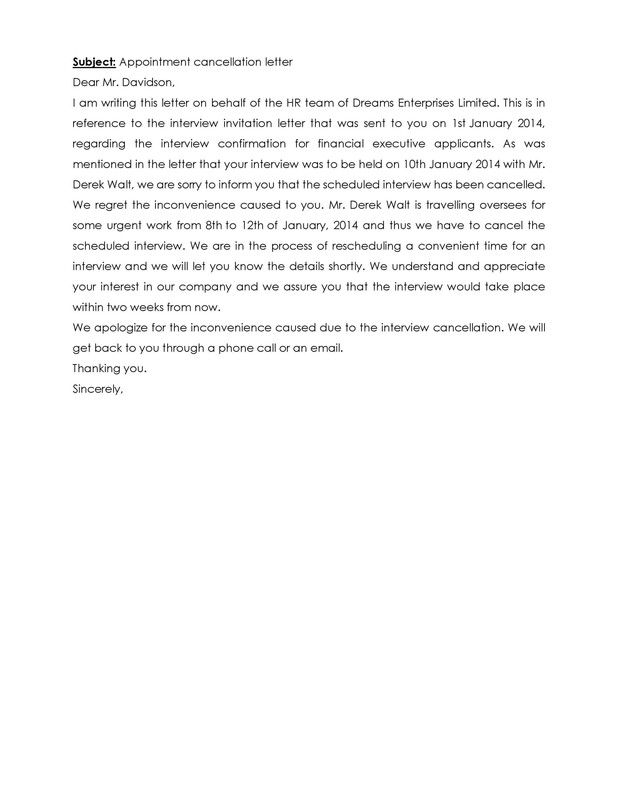 When canceling an event because of unforeseen reasons, you have to write a letter of cancellation to the company which organized the event. Do this if you want to get a refund for the money you’ve already paid to them. 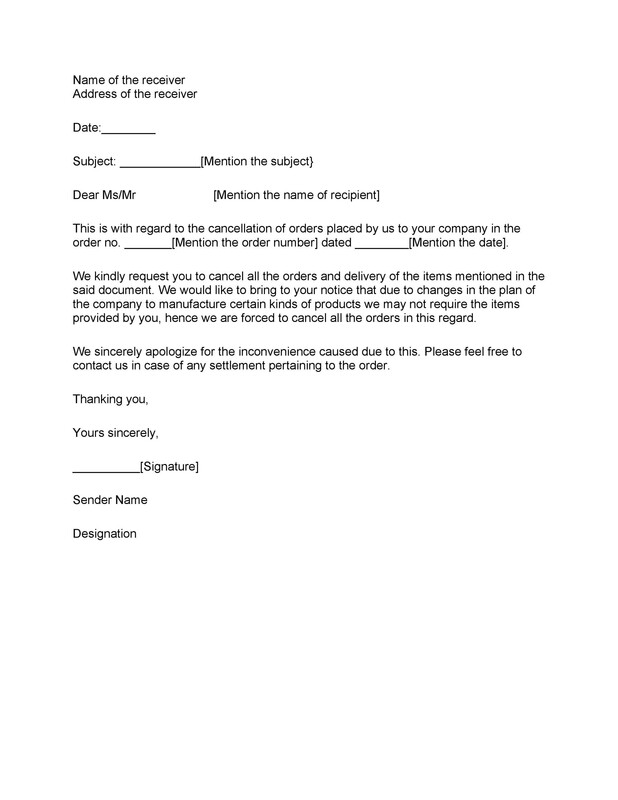 Another situation where you should write this letter is when you’ve placed an order with a merchant for products or services. If you realize you don’t need what you’ve ordered or you’ve found something cheaper, you might not be able to complete the order you’ve made. 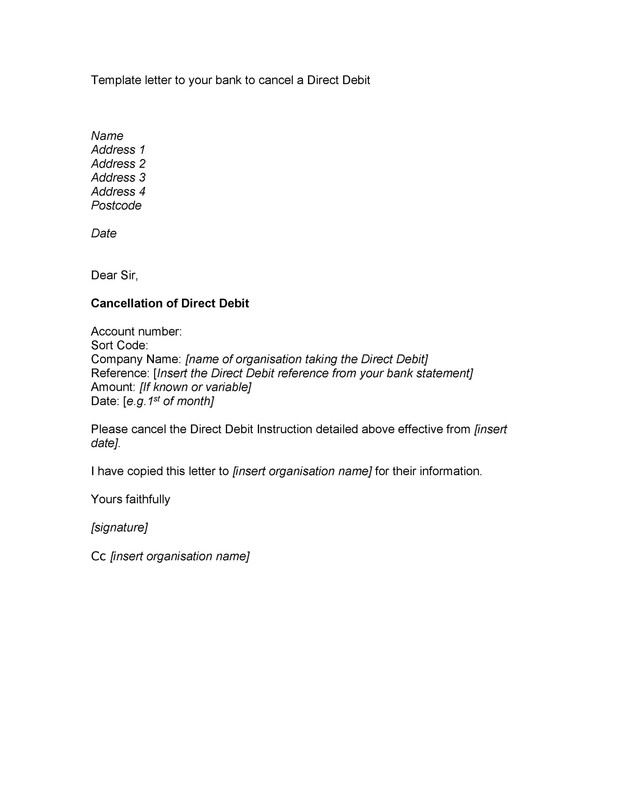 In this case, you can send the letter to either alter the order you’ve placed or revoke it. In the letter, state your reason for the cancellation. Use a short sentence and don’t go into too much detail. 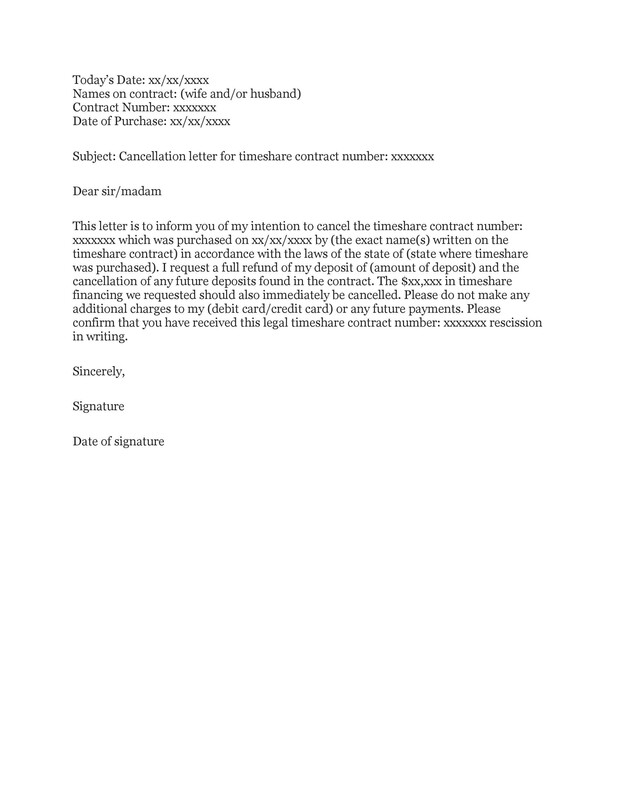 You may also want to write a letter of cancellation to terminate a business contract. Among all the reasons for writing such a letter, this is the trickiest. 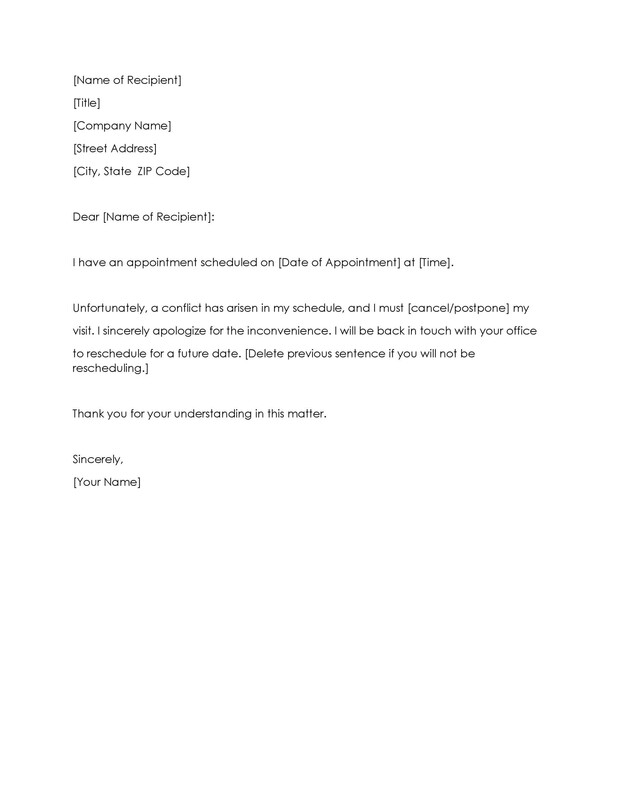 You have to compose a well-written, professional letter as a courtesy to the entity you’re issuing it to. 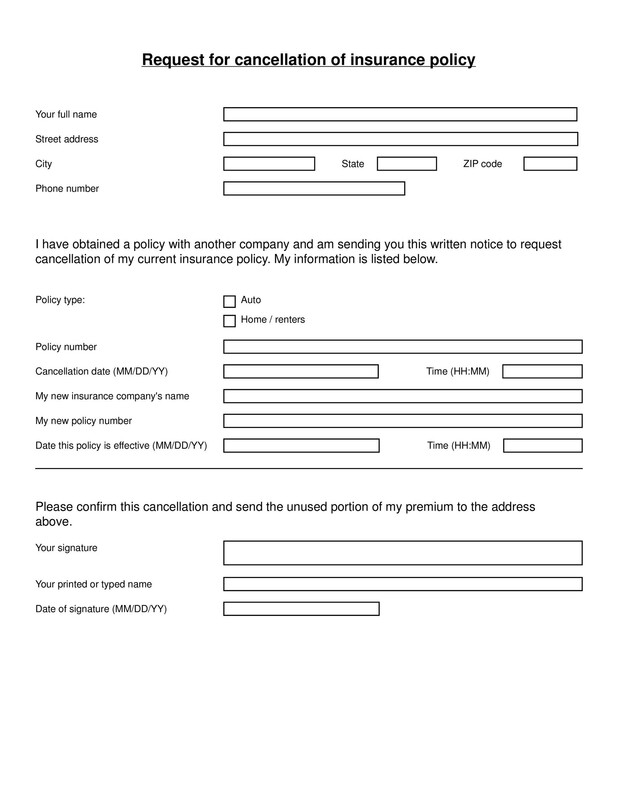 You can download a template here or take a look at some sample cancellation letters for reference. 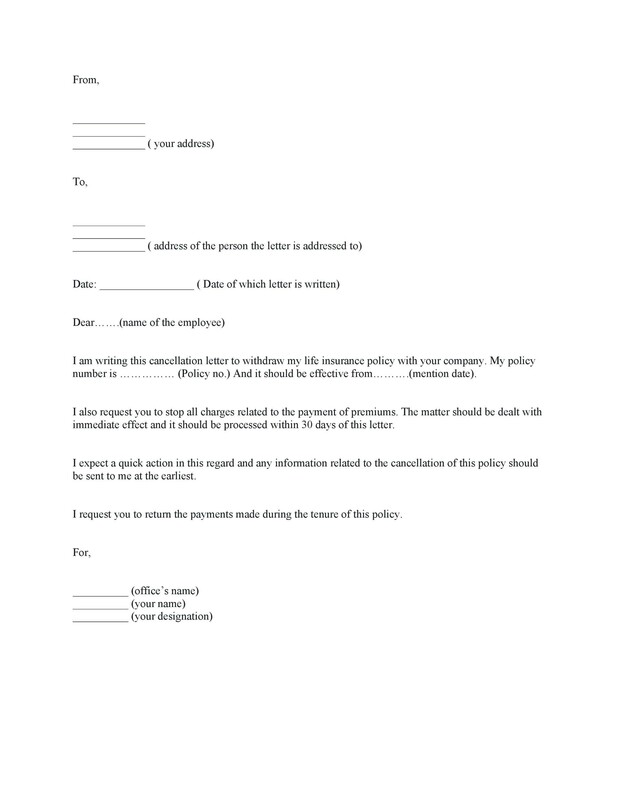 If you want to avoid any violation of your contract, it’s recommended to consult with a corporate lawyer before writing or sending the cancellation letter. No matter what your reason is, you should read the contents of your letter carefully before you send it. 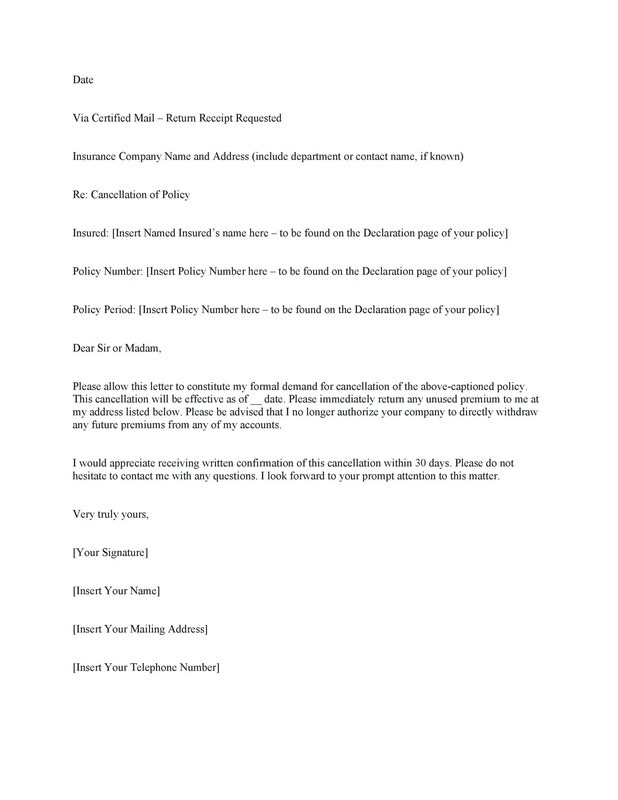 How to go about writing a cancellation letter for different reasons? 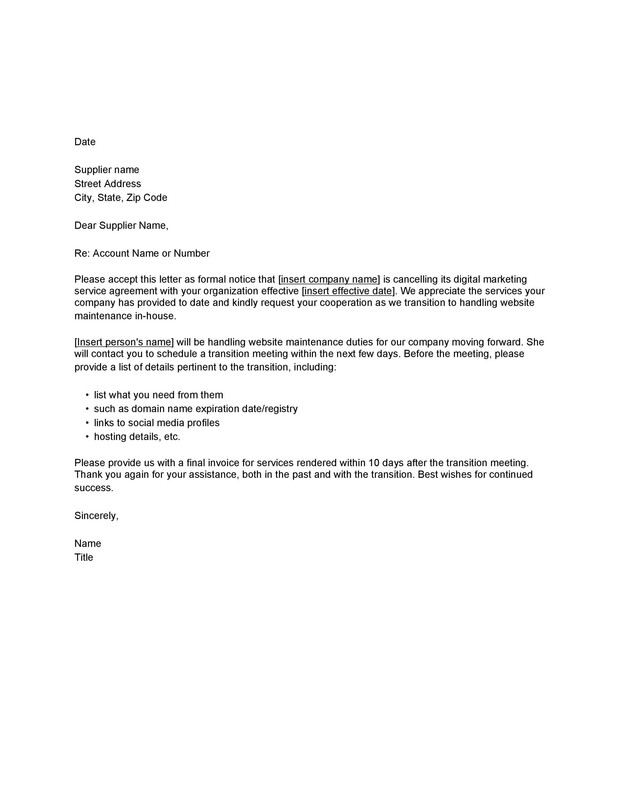 In this case, you should use a formal business format when writing the letter as this will show your professionalism. You have to be very specific about the subscription or membership you’re canceling, especially if you have several from one company. 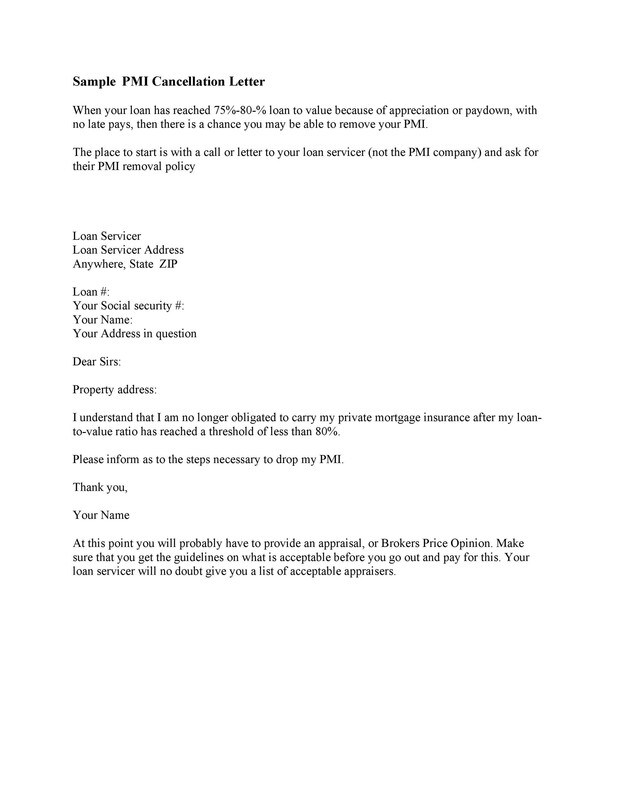 Also, provide all of the relevant information in the letter from the start, so the recipient will know right away what the letter is all about. After that, state the reason why you’re requesting for the cancellation. Use a single sentence for your explanation and make sure that it’s clear. 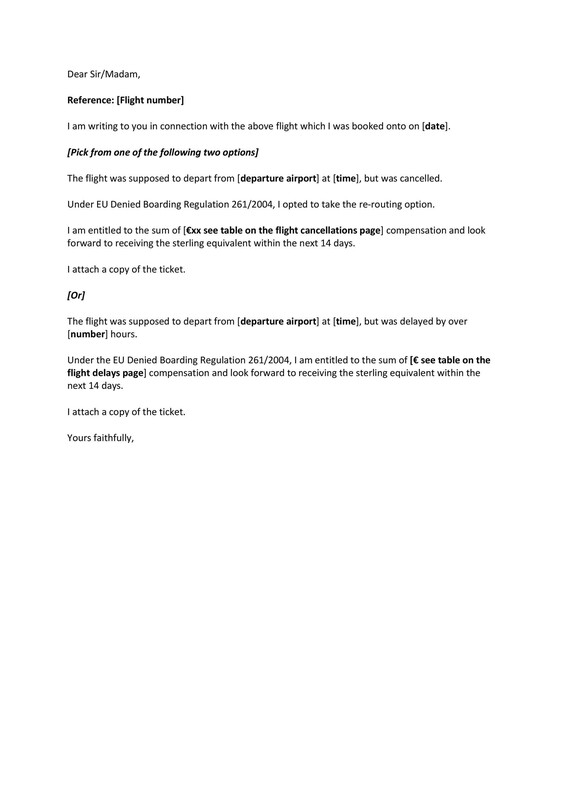 Then request for verification of the cancellation. 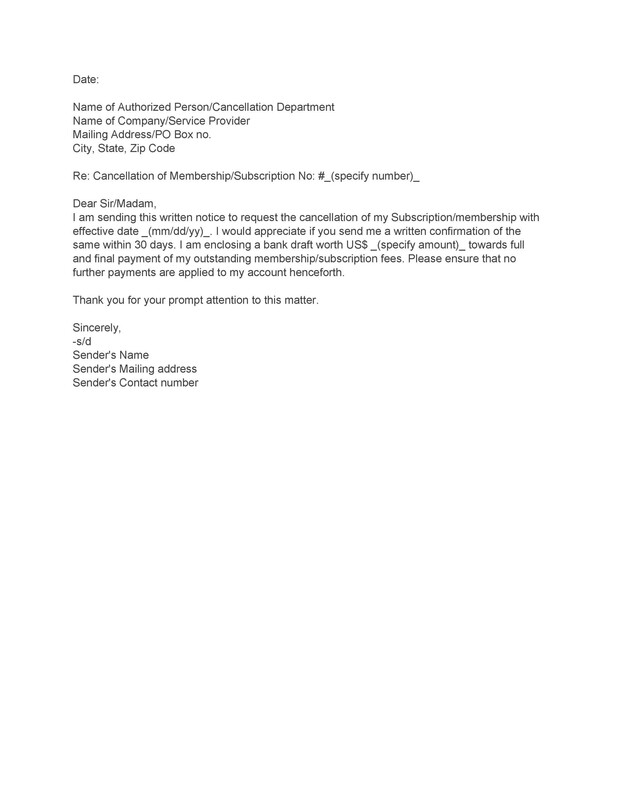 You may also want to request for a receipt to verify that they have canceled your subscription or membership. 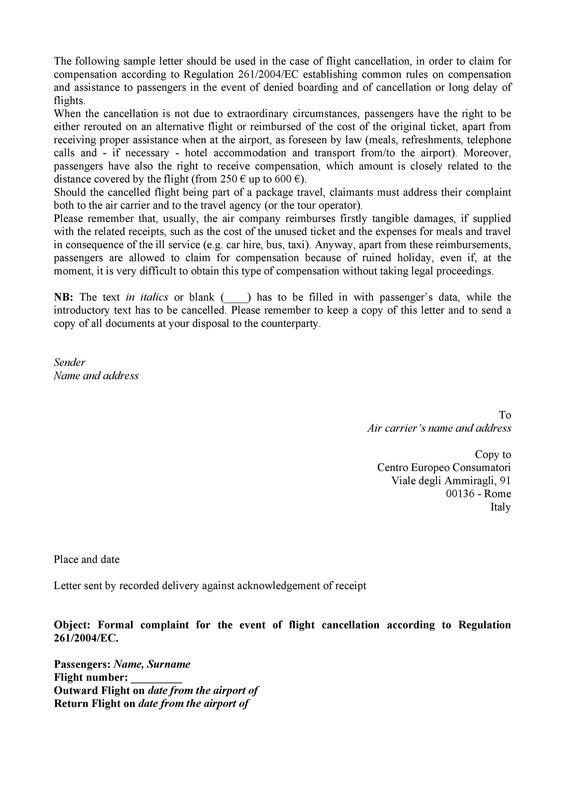 If you know that the cancellation comes with a fee, include the fee payment with your letter. If they owe you any money such as when you’ve canceled before the membership period expires and you have a good reason for the cancellation, make a request for the refund in your letter too. 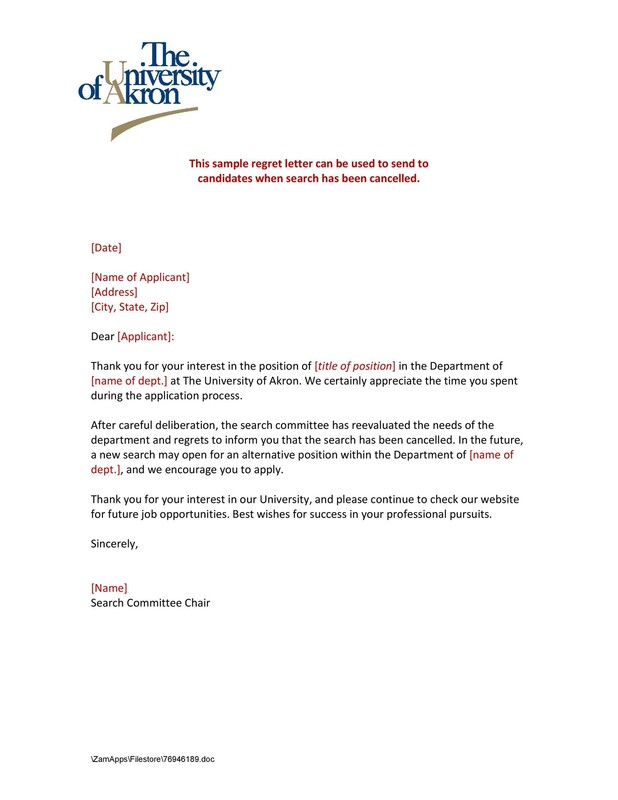 Again, you need to use a formal business style and format for this type of letter to show professionalism. 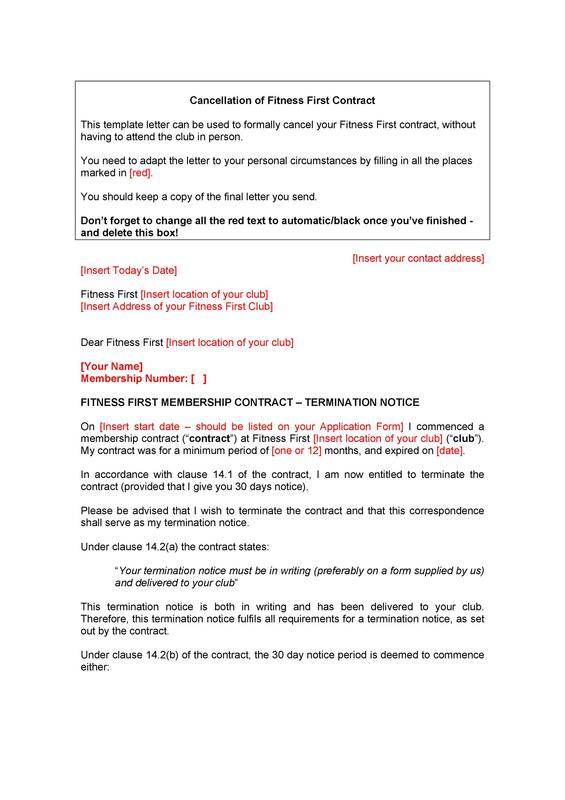 At the very start, express your intent to cancel the business contract. Do this so that the recipient immediately knows the purpose of the letter. Give your reason for the cancellation while still keeping your friendly but professional tone. 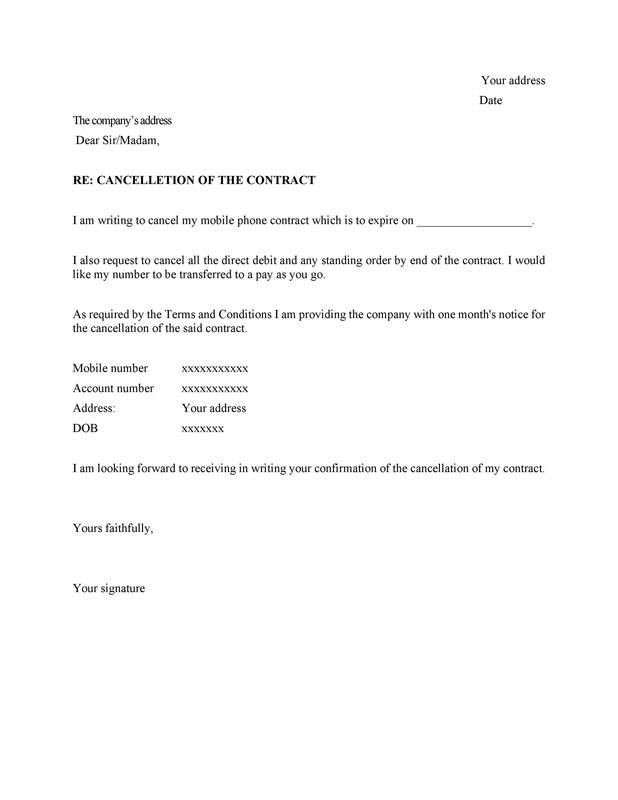 Note that you’re canceling the business contract for a valid reason, but you would still like to maintain a good professional relationship with the entity. You might require the services of the company for another event which is why you should always remain respectful and professional. 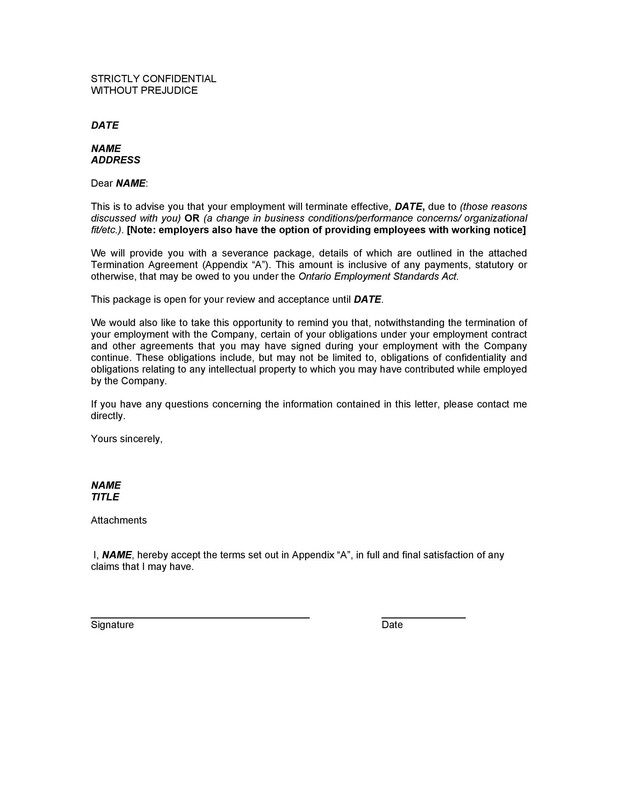 In your letter, include any fees or final payments for any services already given by the company. 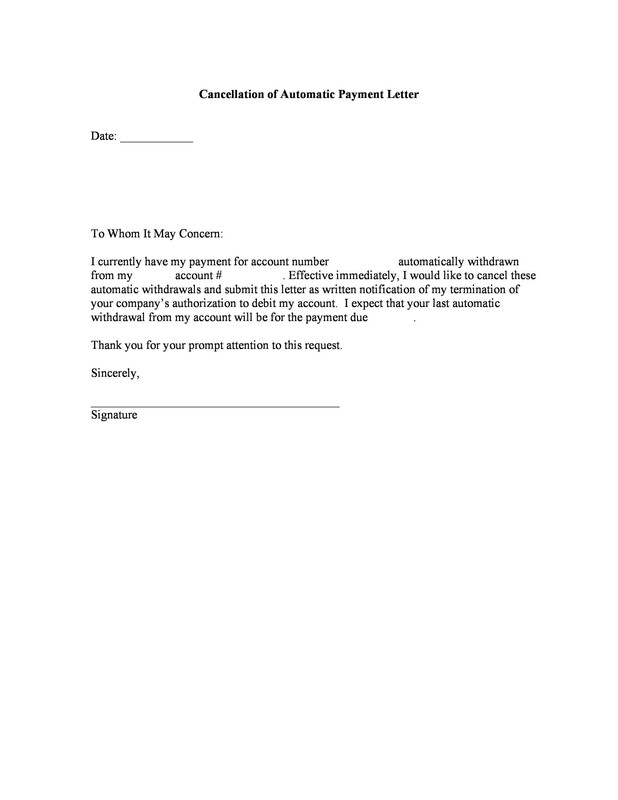 It’s best to include your payment in the form of a check and include it with the letter. Also, mention in the letter that you’ve included the check and state the exact amount. If you have to pay the penalty for canceling the contract, include this payment too. 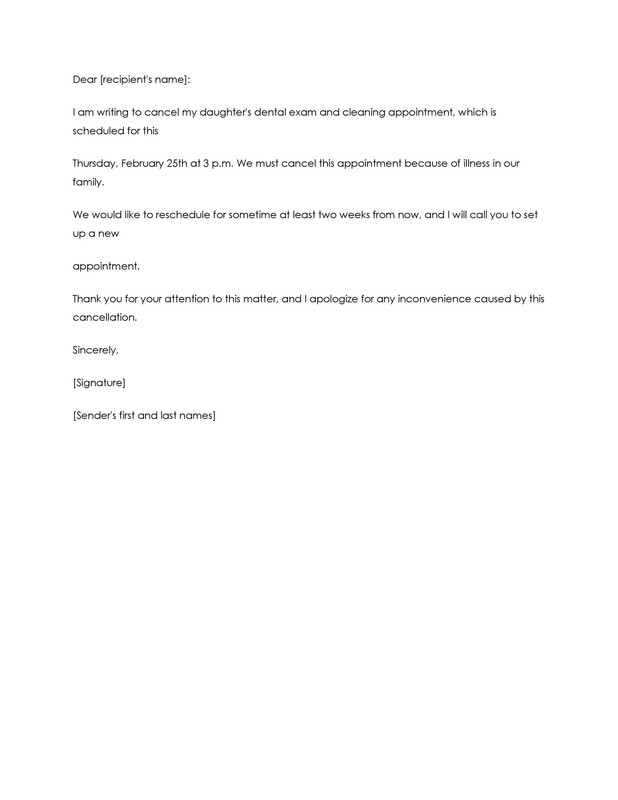 Request for a cancellation confirmation from the company. 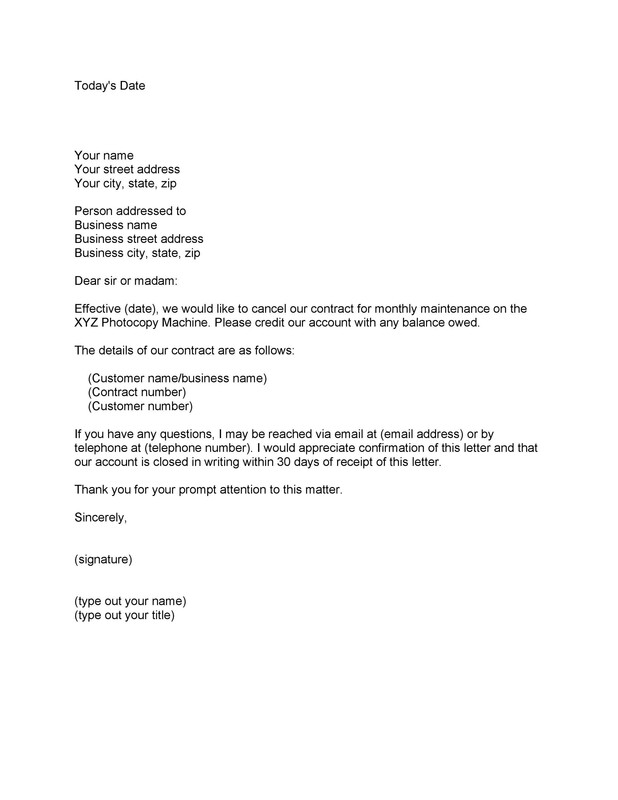 Also, note the date when the contract expires and that your letter serves as a notice for the contract’s non-renewal. 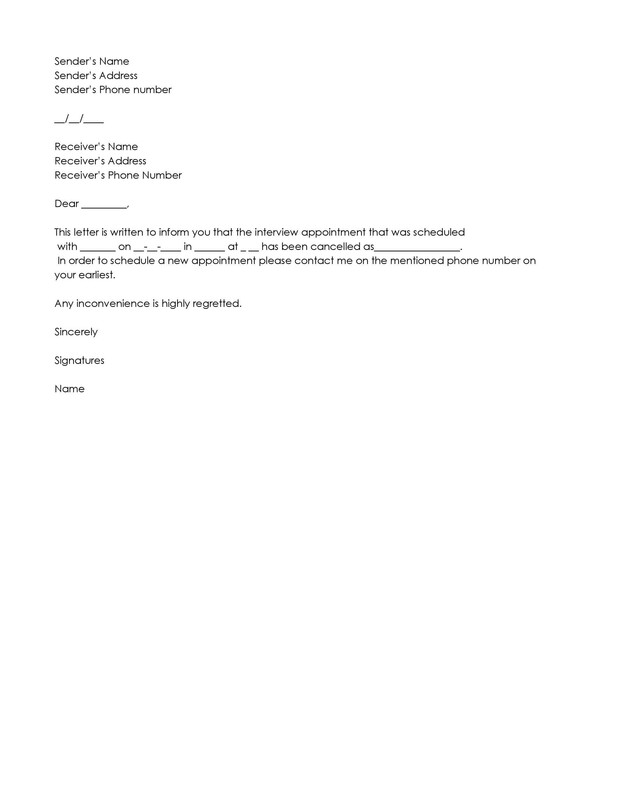 Then ask for a confirmation receipt to verify that they’ve already canceled the business contract. 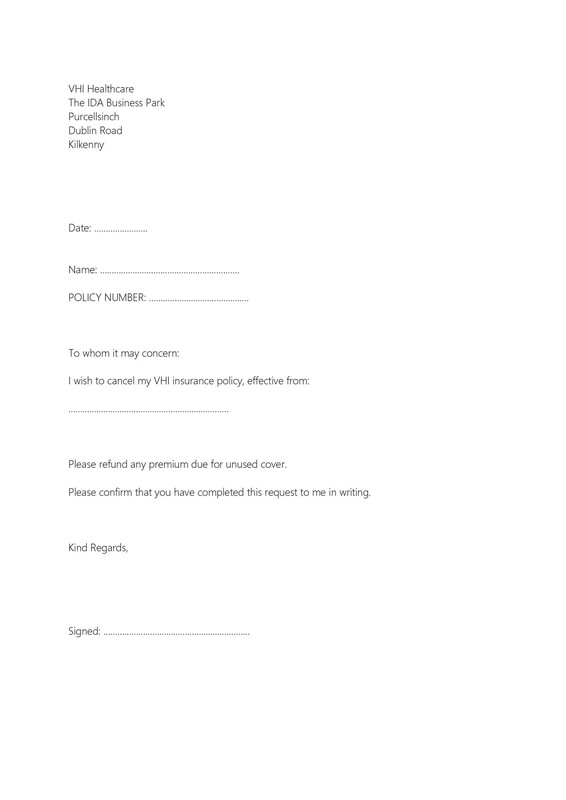 Finally, end your letter on a friendly note then affix your signature after printing it out. 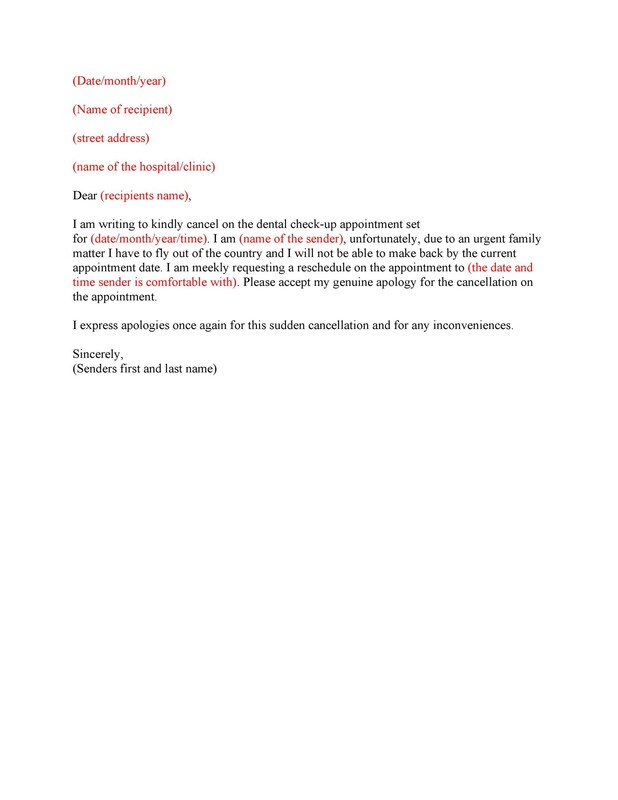 For any type of event cancellation, you don’t have to use a formal style or format. 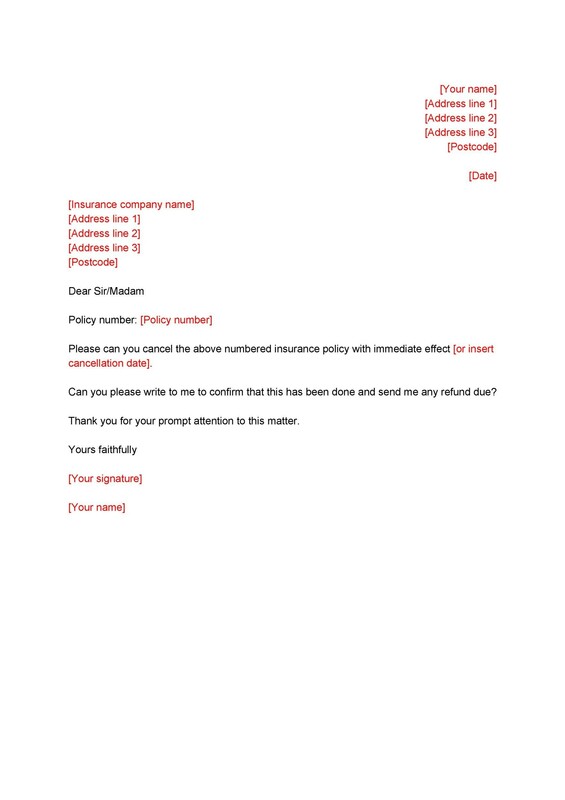 Still, maintain professionalism when writing the letter but you don’t have to be as formal as when you write a cancellation letter for business-related purposes. Most of the time, you would write a letter to your guests which is why it doesn’t have to be too formal. 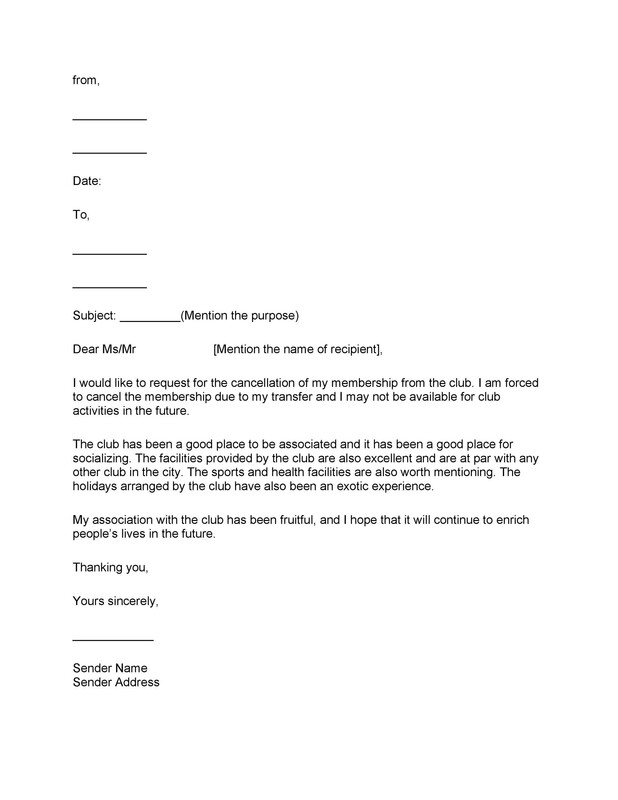 Start the letter by stating its purpose which, in this case, is to cancel the event. Be clear, specific, and add a short reason for the cancellation. Give a brief apology for any trouble or inconvenience you’ve caused because of the cancellation. Use a sincere and considerate tone when writing this part, so your recipients won’t get offended. Acknowledge the fact that your guests have already planned in advance and fixed their schedules to attend your event. This is why you have to include an apology. Then conclude your letter with a statement of appreciation and gratitude. In doing this, your guests might only feel mildly upset because of your decision to cancel. Finally, send out your letter of cancellation as early as possible. Do this, so that your guests don’t have to travel for the event. Also, informing them early would allow them to re-adjust their schedules and push through with the appointments they may have canceled to attend your event. 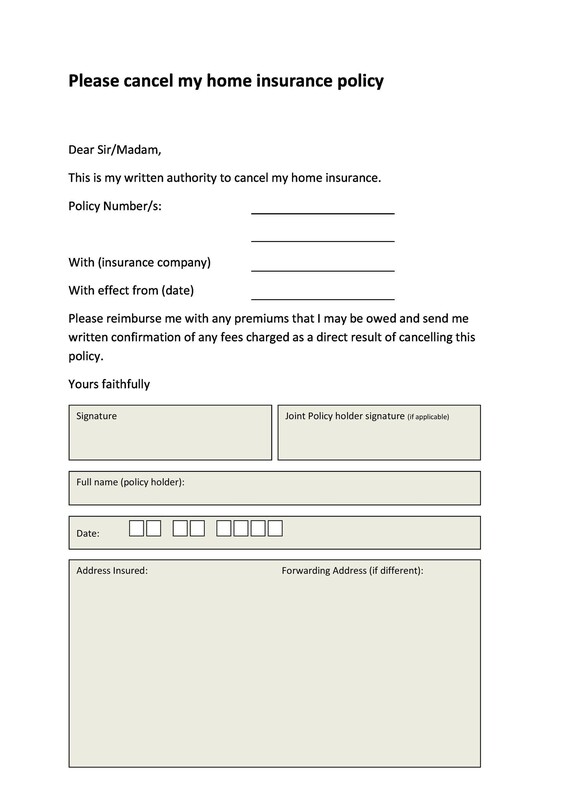 If you’re planning a cancellation, you should look at sample cancellation letters to have a better idea of what the document contains. 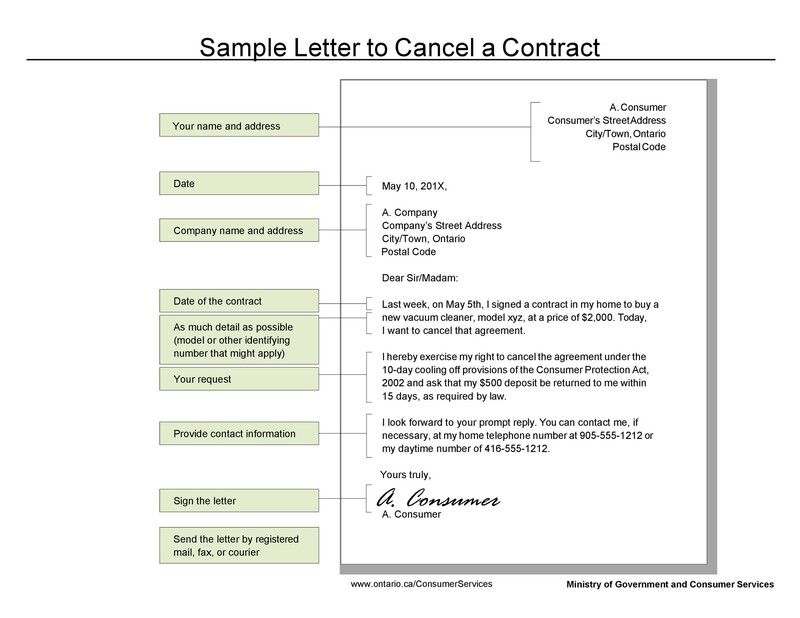 Basically, a letter of cancellation is an official form of communication that’s meant to inform the recipient of your plans to terminate or cancel a membership, agreement, subscription, contract, and more. 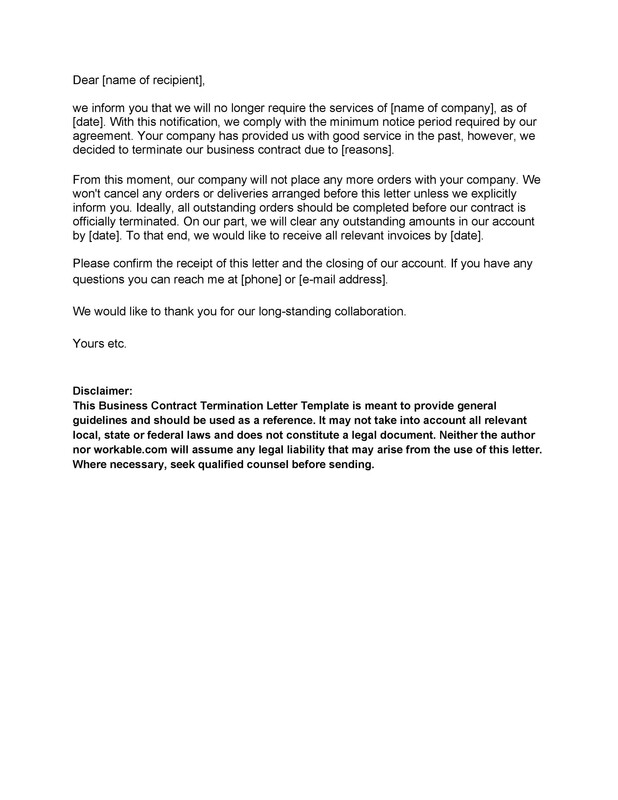 Only compose and send this letter if you’re serious about the cancellation. 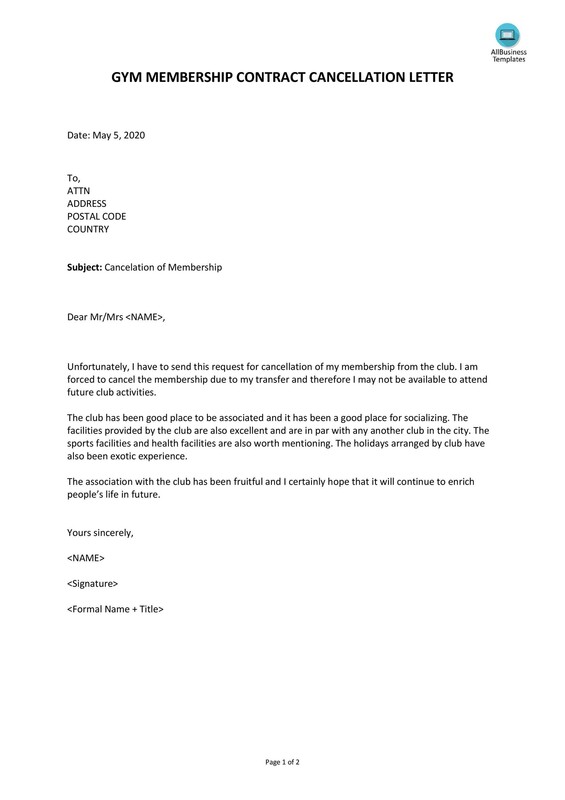 Include the date of the letter along with the name and contact details of the organization. Also, give your complete name, your mailing address, and the subscription or membership details based on the records of the company. Use a polite, friendly, and professional tone while writing the letter. Make a draft of the letter first then edit as needed before you send it. Include all of the relevant information such as the reason for the cancellation, any complaints, and other details. Make a request to the recipient that you would like to get a written confirmation to verify that the cancellation pushed through. You may also include a statement explaining the steps you will take if they don’t comply with your request even after you’ve done all the proper steps for cancellation. It’s better to type your letter instead of writing it by hand to ensure that there are no spelling or grammatical errors. 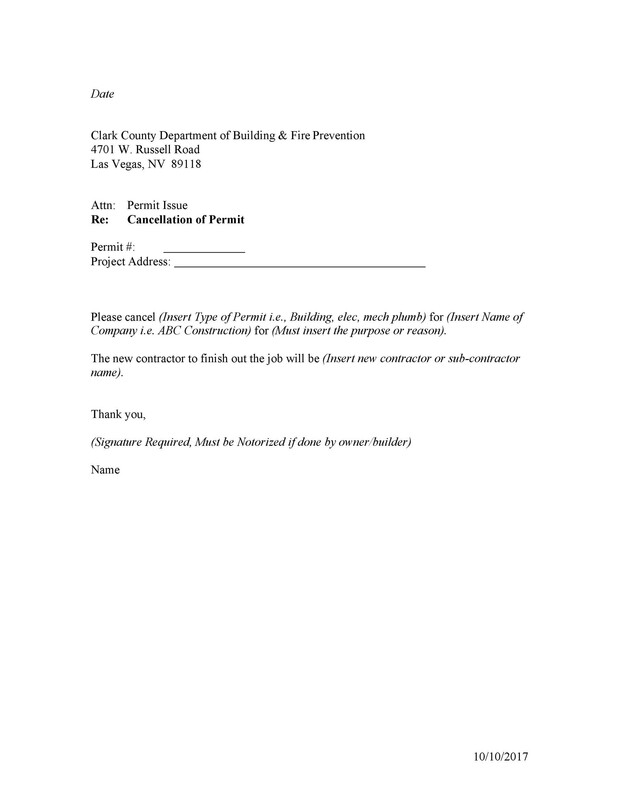 Print the letter on a high-quality piece of paper. 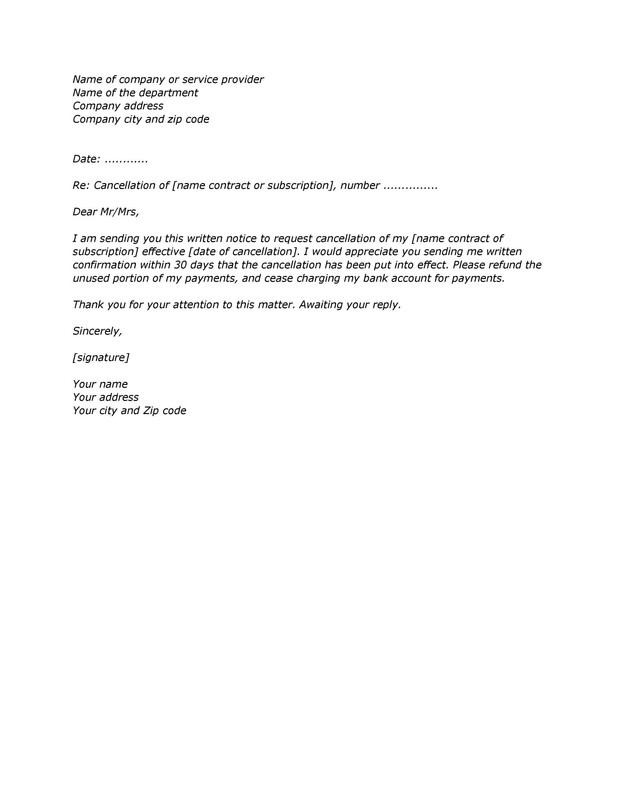 Then affix your signature on it before you send it to the recipient. 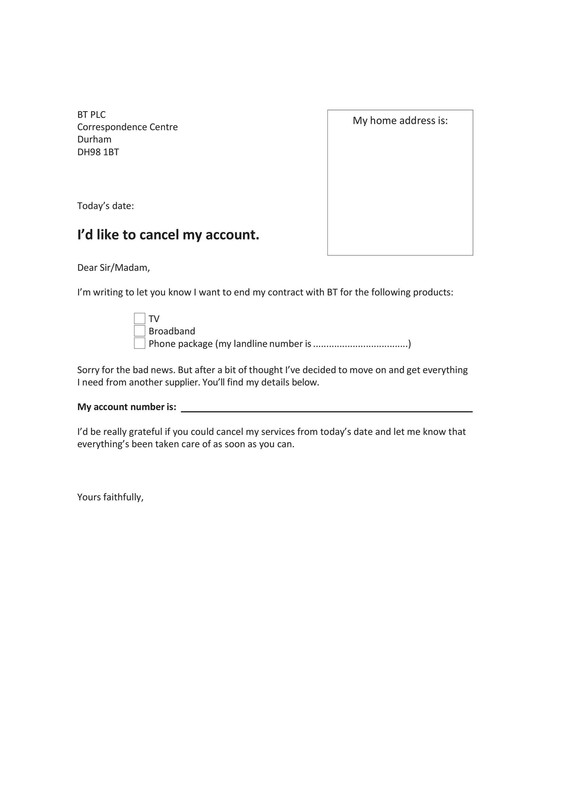 Before sending the letter, make sure that your decision to cancel is completely final. 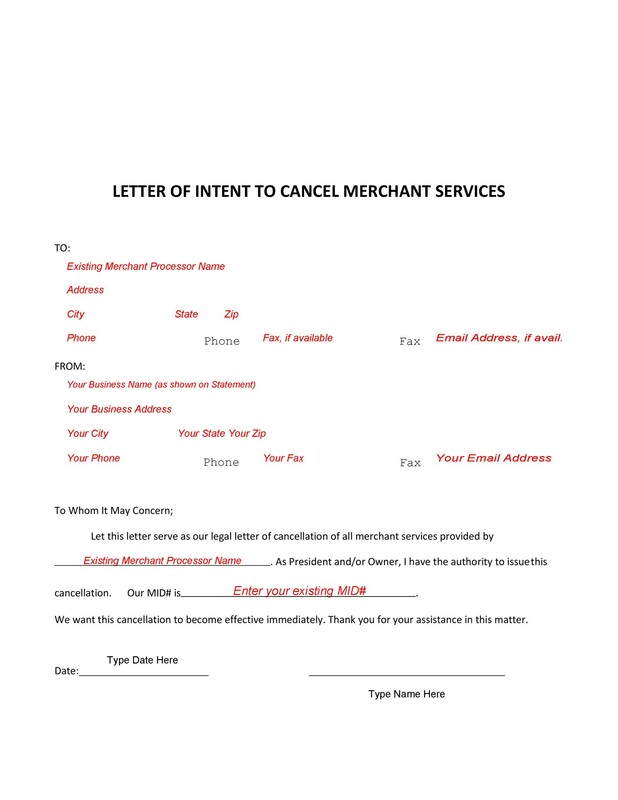 Letters of cancellation are a formal type of business letters, especially when you use them to cancel memberships, business contracts, and other official agreements. Therefore, you need to use a formal tone. If you’re writing a cancellation letter because you’re displeased with the service of the company, it’s alright to express this in the letter too. Just avoid using rude or offensive language as this will offend the recipient, and it might cause further issues. If there are any pending fees or payments, include these with the letter too. It’s not a good practice to make a cancellation without settling all of your payments. Doing this might delay the cancellation procedures. 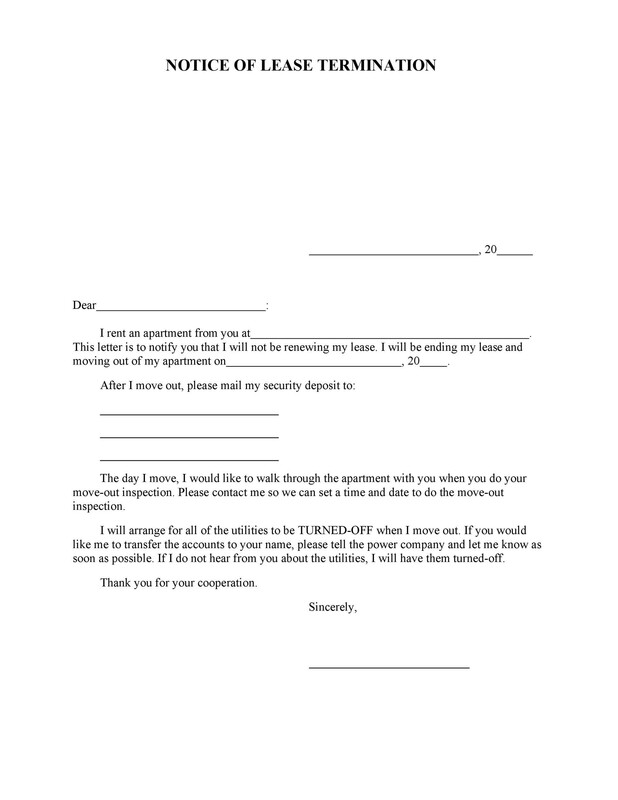 After finalizing your letter, print out a copy for yourself too. Do this in case there are any delays or issues with the cancellation process. So, if the company asks for a copy of the letter, you have one ready to send.